Is Percocet A Kind of Opiate? 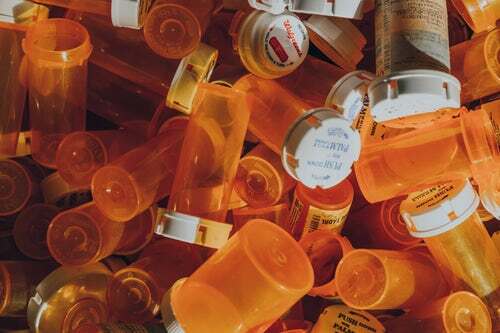 Did you know that prescription drugs are some of the most commonly abused substances in the world? Even if it’s your first time hearing that, we’re sure you’re not too surprised. Prescription medications are just so much cheaper and more accessible compared to illicit drugs. And they produce a similar high—that’s why so many people abuse them. But many recreational users underestimate the potential dangers of abusing these medications. They don’t realize that prescription drugs can be just as addictive as illegal drugs like heroin. This is why it’s important to know everything you can about drugs and their effects. 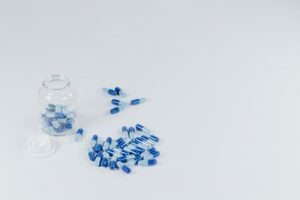 On this article, we will be focusing on Percocet: a prescription drug that not many people are familiar with. It’s a prescription painkiller that’s given to patients suffering from moderate to severe pain. We will answer one of the most common questions regarding Percocet: is it an opiate? And if so, why is this significant? Let’s take a closer look. An opiate is any drug that is naturally derived from the opium poppy plant. On the other hand, we have opioids, which are synthetic and semi-synthetic derivatives. In the medical industry, opiates and opioids are also known as narcotics. Outside of the medical industry, these two terms are often used interchangeably. To make things even more complicated, the legal system has a different way of using the word “narcotics” entirely. They use it to refer to any illegal drug or any mind-altering drug. Law enforcement views narcotics as illegal substances, even though some of them are technically available via prescription. So for the purpose of this article, we will use the medical definition of narcotics. Specifically, is Percocet an opiate? Is it naturally derived from opium? Percocet is actually the brand name for a prescription medication that contains two main active ingredients: oxycodone and acetaminophen. It’s a combination drug that’s highly potent and can relieve pain for those dealing with traumatic pain, post-surgical pain, and cancer pain. We need to take a look at the two main ingredients. Oxycodone is a narcotic painkiller, also known as an opioid analgesic. It has effects that are similar to morphine and heroin, although it’s not actually an opiate. It’s more of an opioid. Acetaminophen is there to boost the effects of oxycodone, creating a very potent combination drug. So no, Percocet is not an opiate, but instead it is an opioid. It’s still a narcotic, then. The reason we’re discussing this is because we need to shed light on the fact that not all narcotics are bad. Some of them are very helpful when used properly. Most substances—prescription drugs in particular—are dangerous when taken in high doses. Recreational users take large doses of their medications to get that euphoric high. In the process, they develop tolerance, addiction, and physical dependence. Of course, all these conditions come with their own sets of adverse effects and health problems. It’s important to use drugs like Percocet the way they were intended to be used. Consult your doctor, follow their prescription, and avoid the deadly effects of addiction. And if you know someone who’s addicted to Percocet or other opioids, look for recovery centers near you. It’s never too late to get sober.